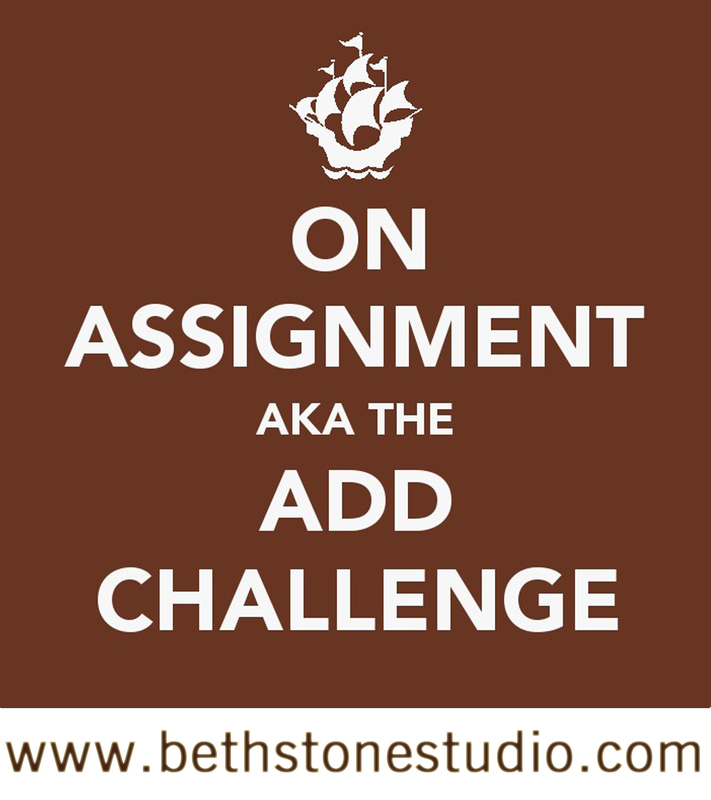 Beth Stone Studio: The ADD Challenge! Many of you out there in the blogging world have heard of "linky" parties - someone does a post about a certain topic, then readers have a chance to link up their posts on the same topic at the bottom of the original post. They cover anything from craft projects to your outfits for the week, and everyone has fun seeing what everyone else is doing. It's a fun way to connect with other bloggers and get great ideas and inspiration. I have wanted to create a link party for some time, but I've been stumped trying to come up with one "theme" that I could do on a weekly basis that wouldn't get monotonous after, say, the first week. Because I have ADD like that, and because --- HEY, LOOK! A Bunny! 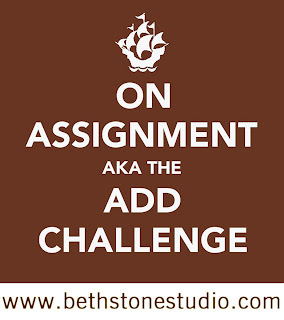 Thus, my idea: I am going to start posting a weekly challenge called "On Assignment." Every Monday, you stop by, check out the assignment for the week, then come back the following Monday to link up your post on that assignment, and get your assignment for the next week. (How many times can you use the word "assignment" in one paragraph before the grammar police come get you? I'm definitely pushing the limit.) Sound like fun? "What," you may ask, "are the link parties going to be about? " Why, I'm glad you asked. They will be a surprise every week! That's the fun of it... maybe one week I'll have you taking photos inspired by a certain theme, the next week you may be sharing your favorite recipe from your grandmother... I've got lots of ideas, and I think the variety will be fun.... and also challenging. Part of the challenge is for myself - it will be good motivation for me to get out and try new things, and it will add a little variety to the daily grind. 1. The post MUST be about the specific assignment given for that week, and you have to have taken on the challenge during that week. 2. Please post the "On Assignment" button (code below) on your post or sidebar or link back to my blog in your post. That way, your readers can also get in on the fun. Thanks! Take a photograph of something you own that has special sentimental value, for whatever reason. Then tell us the story behind it. Looking forward to hearing from you too! What a great idea! I've been kind of "blah" lately in my blogging because I just don't know what to blog about! I'll be joining in! Hope you have a great week!